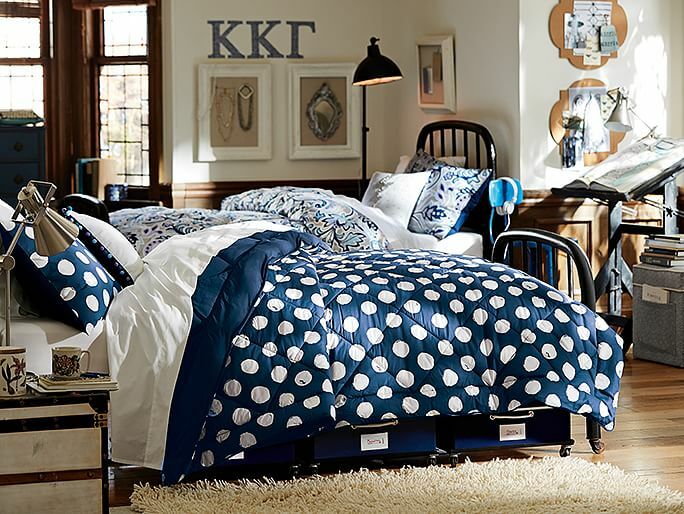 College students everywhere are getting ready to head off to school and looking for dorm room ideas that will make them feel at home in their new space. Even if they’re not into decorating, students are happier when their rooms feel warm and welcoming. 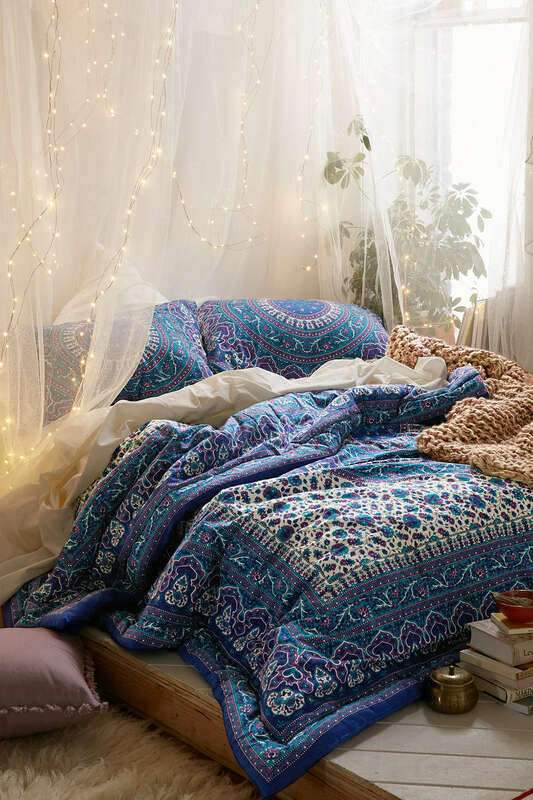 And while there’s not much you can do to dress up cement block walls and linoleum floors, here are some of our favorite ways to personalize a dorm room. A cozy rug. There’s nothing worse than a cold floor on a winter morning. A plush area rug is an inexpensive way to add warmth and is one dorm room idea you don’t want to be without. Photo courtesy of Pottery Barn Teen. Lighting. Your dorm room will probably come with nothing but fluorescent overhead lighting, so you’ll want to soften things up with mood lighting and add task lighting for your bedside table and desk. Curtains & Canopies. Even the most industrial looking walls and windows can be hidden with fabric swags, or softened with a length of fabric draped from removable hooks or tension rods. Posters. What’s a dorm room without posters? 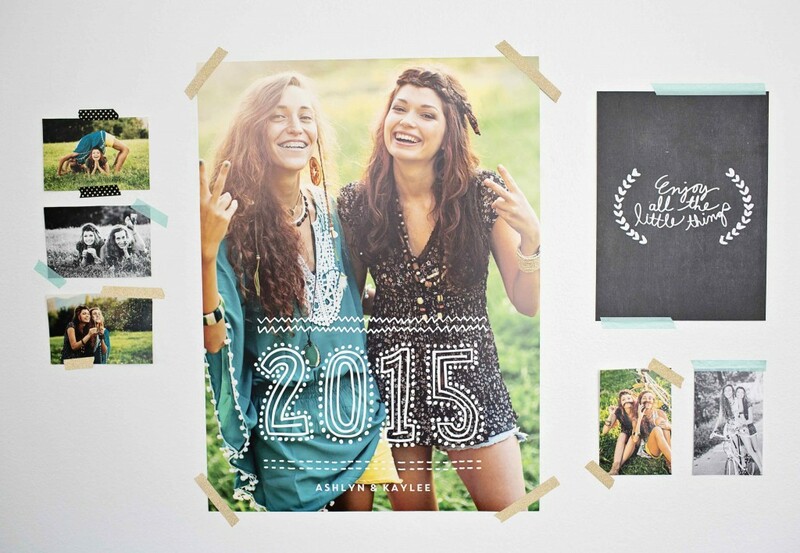 Aside from the old standbys featuring rock bands, inspirational sayings and celebrities, you can also create your own custom posters at Pear Tree, using your favorite photos of friends and family. Wall decals. 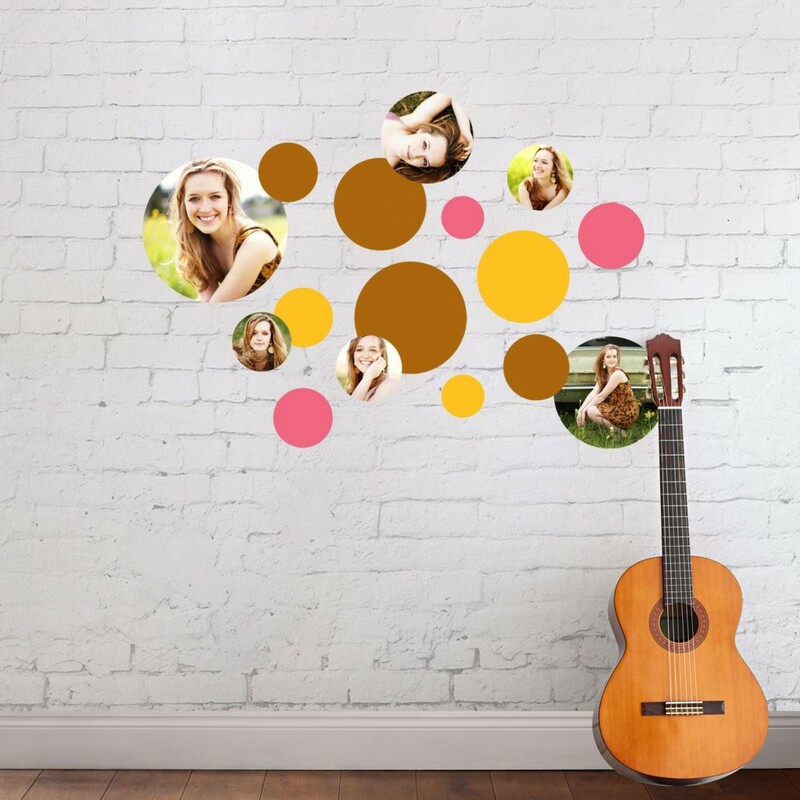 Another way to add color and personality to your room, wall decals will stay up all year and won’t leave a mark when you take them down! Photos from home. 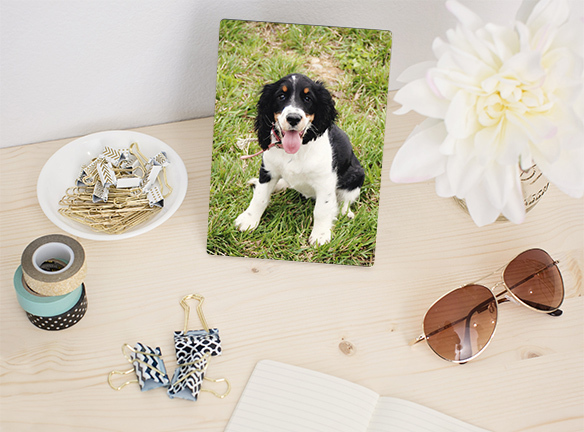 Arrange photos on your desk or windowsill using our easel art templates. They stand up like picture frames, with no glass to break. 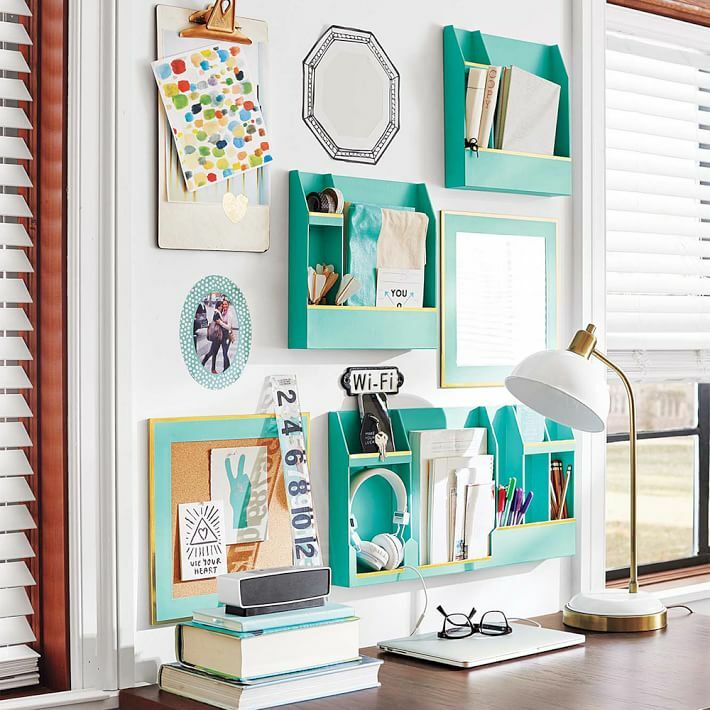 Whether you’re a freshman or a senior, girl or boy, you can’t go wrong with any of these dorm room ideas. It’s all about creating a space that you can call home. Shop our gifts & decor collection for more personalized decorating ideas.